Summary: Earlier: Michael Henchard, a common hay-trusser, gets drunk at a country fair and sells his wife and daughter to another man for five guineas. Susan, believing the sale to be binding and legal, goes off with the sailor, whom she considers to be her new husband. The next morning, realizing his mistake, Henchard swears off drinking for the next twenty one years. At Present: Susan, after the seeming death of her husband (the sailor) sets off to find Henchard. She is accompanied by her eighteen-year-old daughter, Elizabeth, who still believes the sailor to be her real father. 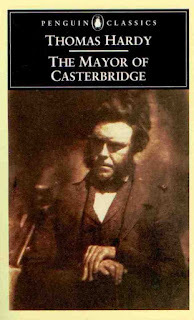 Reaching the town of Casterbridge, the mother and daughter find out that Henchard is now a wealthy merchant, and also, the Mayor of the town. The story progresses as Susan and her old husband plan to get together, without letting their daughter know their little secret. My Thoughts: About a month ago we were having a discussion in drama class about Macbeth, and how it was his choices that led to his destruction and that he chose his destiny. Someone mentioned deus ex machina and that led to a conversation about Thomas Hardy. I read this book because we were supposed to compare Shakespearean tragedies with the tragic novels written by Hardy. I do believe in fate; rather, our inability to change it. But I also think that life gives us this illusion of control, the right to make choices. Whether these do affect/shape our fate is another point entirely, but I believe in accepting and exercising that right and making the correct choices. I don't think our life is a haphazard network of incidents over which we have no command. I genuinely don't believe our lives are like any of Hardy's poor old characters. Throughout the novel, any major plot change occurs only due to some supposed accident or a convenient death or disappearance. I think a plot should work itself out, develop from the inside. After a certain number of pages, the writer shouldn't have to introduce any major events that aren't controlled by his characters. I don't agree with that very basic thing that the book tries to reinforce: that nothing, including redemption, is really in our hands - that "happiness (is) but the occasional episode in a general drama of pain." (Say it were true, which I don't think it is, even then - I would like my books to provide me with an inkling of that happiness rather than a 300-page-long description of that pain that I apparently suffer all the time.) The idea is depressing and so is the novel. None of the characters stood out or made any strong impression on me. Michael Henchard is a petty coward and there's nothing pleasing about him whatsoever (though that was how he was supposed to be.) I was particularly annoyed by all female characters in the novel and the only words used to describe them: weak, plain, simple, dull. At one point, Henchard actually tells his wife that he doesn't blame her for not understanding, that he knows that she can't help being so simple - or something of the sort. I know I ought to put such things in context, relate them to the time when the book was written, but it is just too condescending and irritating to ignore. Ever Donald Farfrae, one of the better characters, was ultimately just a flimsy author's puppet used to keep the story in motion. 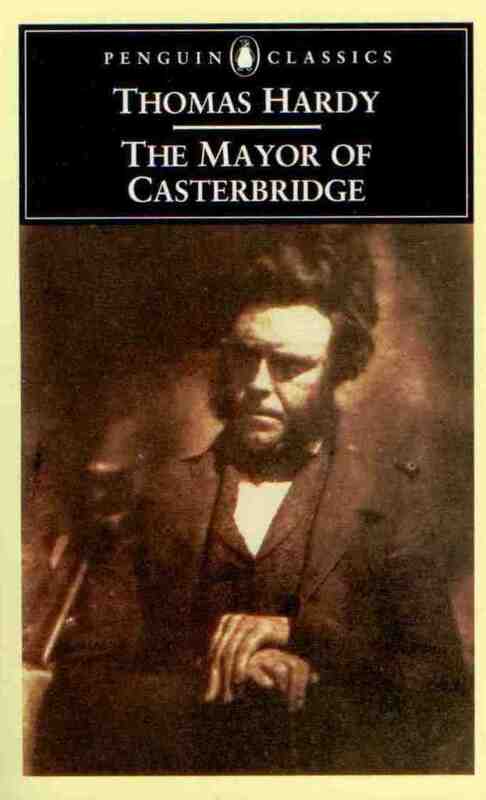 The Mayor of Casterbridge was not too long and it was also easy to read. I actually loved the style of writing. But does that really even matter? I finally read Hamlet, and I do think that tragedy as a result of bad choices works much better than tragedy as a result of just plain bad luck. What do you think? #1 I buy books that I've already read: I bought almost all the paperbacks on my shelf after I'd already read them as eBooks or from the library. I already know I love them, I love to re-read books and that way, I know I'm not wasting money or space! I love to collect books, it's almost an obsession; I have no idea why. #2 I hate movie adaptations on principle: Okay, I do have my reasons. Some of it is based on bad, bad experience. Mainly though, most people I know haven't read the books or worse, don't know the films are actually adaptations. It's tremendously irritating. #3 If a book really bores me, I leave it halfway through: Put it on hold, so to say. Though I don't usually skim, there are books that I was just too bored to finish reading. But there have been quite a few novels that I left halfway through - went back, finished reading and liked, years later. I will eventually get back to all of them. 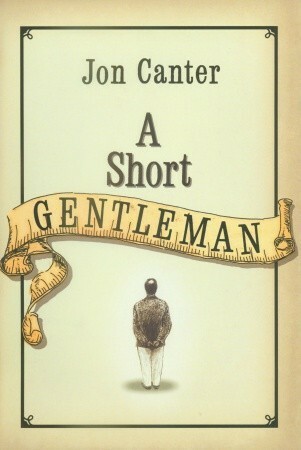 #4 I have read very few classics: Embarrassingly few. But, hey, I have already started to cure that. #5 I like "spoilers": I know this is weird and I haven't ever met anyone else who likes spoilers! It may be because I grew up with a sister who'd tell me the plot of every single book I was about to read in painful detail and I got used to it. I usually read the plot or a brief summary before I start reading the book. It doesn't spoil the fun, either, I just keep anticipating the time when what is supposed to happen, does happen. #6 I buy all my books online: So, most people do these days I guess. I like roaming around in book stores. I just I don't like people watching when I am selecting books, or impatiently fluttering about if I am spoiled for choice. Buying books is a long process I best do on my own! #7 I used to break spines, bend cover flaps, tear book pages or spill coffee on them: The key term here is 'used to', I reformed. I never wrote in or dog-eared books, though, just saying! #8 My Harry Potter books are a mess: It's only because I read them all the time. The first doesn't have a few pages - the second is missing - all the pages have come out of the third and fourth and the pages from the fourth book are actually not even in order - the fifth book doesn't have a cover - the sixth has a slightly broken spine. I never got around to buying the seven book. #9 Sometimes, I lie about not having read books. This is only when I will feel too awkward to discuss them with someone or I read them so long ago that I don't remember them well enough. This includes The Fellowship of the Ring, non-fiction belonging to my sister, and some guilty pleasure reads like poetry or bizarre Clive-Barkeresque fiction. #10 I judge people by the books they read. But come on, be honest, we all do. Well, don't we? Visit The Broke and the Bookish to read more bookish confessions. 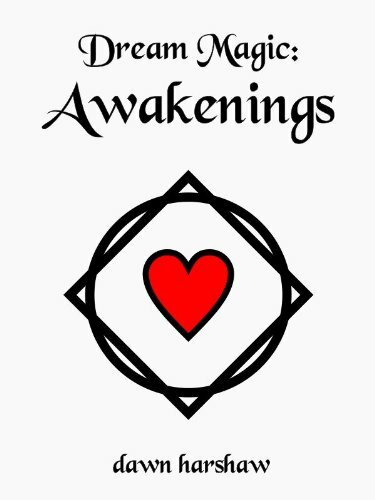 About the book: Dream Magic: Awakenings is a hard-fantasy novel by Dawn Harshaw, published in February 2012. Summary (from here): Eric, a young boy, has enough of nightmares ruining his dreams. Determined to grow stronger, he tackles magical disciplines one at a time - be it flying, blade magic, or telepathy - and stares down his fears. But, will he survive the battles and the trial of nightmare mastery? And at what cost? "Understanding is the inward motion of a net; rationalizing the world and slicing it with Ockham's razor. 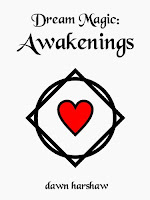 The constriction and expansion of relations, the normalization, the simplification, the grasping of essence and the pruning of the irrelevant to bring back a useful simulation - this is 'understanding'." Eric chuckled. "I don't understand understanding." My Thoughts: The book is full of wonderful concepts like the one I quoted above. The book was supposed to be Harry-Potter-esque, but to be honest, it reminded me a lot of Diana Wynne Jones's Chrestomanci series: especially of The Lives of Christopher Chant, where Chant walks to different worlds in his dreams. Eric is similar a young boy visiting in his dreams a place called Dream Camp, where, with the other kids, he learns to fight his nightmares. They have a Dreamer's Handbook and every chapter has one type of magic, which the children learn together. When I read a fantasy novel, my usual concern is that the supernatural element will be vague and unconvincing. This is definitely not a concern when it comes to this book. It is no doubt that a lot of thought and work went into creating the magic of this world. Every little thing was explained in detail. Instead of simply stating that they could teleport, the author mentioned how. It was almost as if I studied the Dreamer's Handbook along with Eric (much beyond getting to know the name or the words of a spell.) I loved the detail in the book and the focus on each of the different aspects of magic is spectacular. Along with that, the book provides a great perspective on life and childhood, dreams and fears. If you are as awed by dreams as I am and like to unravel the mysteries of magic, this is the book for you. However, there seemed to be little plot and the ending was rushed. At times I felt as if the characters and dialogue were there only to add to the book some semblance of story. I felt like it would have made a better read as just "The Dreamer's Handbook", like with Rowling's Fantastic Beasts and Where to Find them or Quidditch Through the Ages. Another tiny problem I had was there was very little explanation of the characters' real lives and why this dream world existed for them. I would have liked a little more backstory for Eric or the other characters. But these little concerns are overshadowed by the really good writing which makes the book thoroughly engaging. If you like YA or fantasy fiction, hurry and buy this book right here. The Bout of Books read-a-thon is organized at On a Book Bender and Reading the Paranormal. It is a week long read-a-thon that begins 12:01am Monday, August 13th and runs through Sunday, August 19th in whatever time zone you are in. Bout of Books is low-pressure, and the only reading competition is between you and your usual number of books read in a week. There are challenges, giveaways, and a grand prize, but all of these are completely optional. For all Bout of Books 5.0 information and updates, be sure to visit the Bout of Books blog. I am going to try to read at least a little every day of the read-a-thon. Thoughts: This little collection of essays is turning out to be pretty great. Will post a review once I'm done reading it! Had a very busy day and didn't manage to read a single page!! Challenges: Today I participated in my first challenge of this read-a-thon. I took part in the Book Word Search challenge, which was hosted at The Musings of Almybnenr. I love word puzzles and this one was a fun break from reading! Thoughts: I rarely say this, but I actually hated this book. I couldn't possibly explain why in short, so I'm going to post a review tomorrow. Can't wait to read A General Theory of Magic tomorrow! Thoughts: This was an eBook and so, it took me considerably longer to read it, as it always does. It wasn't a very engaging read either. I could have read A General Theory of Magic today. I really wanted to, but I had a personal deadline on writing a review for Giving Up the Ghost. Challenges: The Page 99 Challenge is hosted by My Seryniti. Turn to the 99th page of an upcoming read and see if it changes your expectations from the book. "That night, I lay alone in bed in my flat in Canonbury, revisiting what Elizabeth had said to me. I revisited everything and then I settled. I settled on a particular phrase and then, as it were, I settled in it. I dwelt in it, as if it were a cellar in a castle with the drawbridge up. Guy was conceited, Guy was aggressive, Guy dressed in black, Guy took cocaine, Guy was cruel and unfaithful. (...) But this was fair enough - his parents divorced when he was five. In the welfare state of Guy's mind that entitled him to certain character defects." I have no idea who Guy is, but he doesn't seem very pleasant. It seems odd to judge a book by a page, but here's what I think: I don't like complicated similes, at all, or short sentences and repetitions. This isn't particularly bad, but it didn't make me want to read the next or previous few pages to figure out the context. It just doesn't seem interesting enough. Let's just say, I sincerely hope the 99 page test is not effective, I was really looking forward to this read! Thoughts: This was a perfect ending for a perfect week. Thoughts: First of all - Thanks to those who stopped by here to encourage me and such. (Sorry, I didn't reply to each comment.) I made it a point, during this read-a-thon, to not disturb my daily routine to read. I love the fact that I can do every chore I need to do and still manage to read 5 books in a week. That way, counting all the vacations I should be able to read at least 180 books next year, without changing my routine much! This was just a great read-a-thon, wasn't it? How was your week? 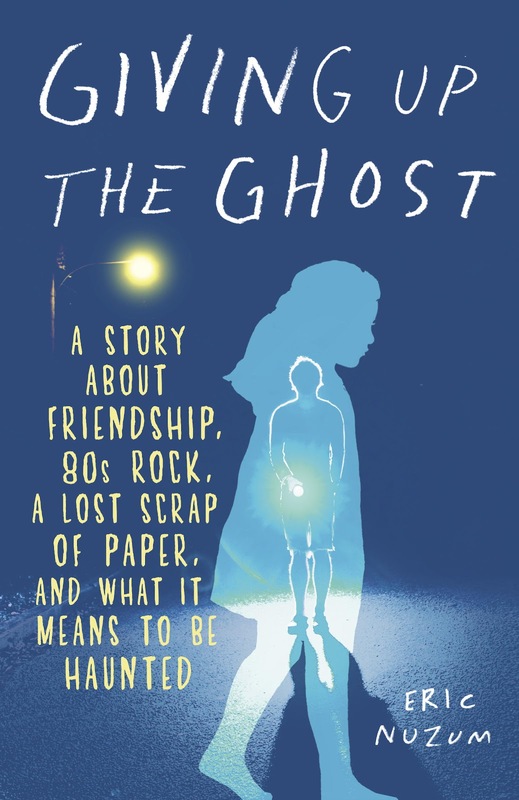 About the book: Giving Up the Ghost: A Story about Friendship, 80s Rock, A Lost Scrap of Paper and what it means to be Haunted is written by Eric Nuzum, published by Random House Publishing Group on 7th August 2012. Summary (partly from here): Eric Nuzum is afraid of the supernatural, and for good reason: As a young boy, he believed he was being haunted by the ghost of a little blonde girl in a blue dress, first in his dreams and slowly in his real life. It ended with Eric in a mental ward. His friendship with a girl named Laura was the only thing that kept him "normal". She made him alive again - only to become a ghost herself in a tragic twist of fate. Years later, Eric is still scared of 'ghosts'. In order to finally face his fear, he decides to visit America’s most haunted places. But deep down he knows it’s only when he digs up the ghosts of his past, especially Laura, that he’ll find the peace he’s looking for. My thoughts: The book description seemed so interesting. The book was supposed to be "hilarious" and "moving", as described, but what I got, instead, was moderately amusing and overly emotional. I loved the premise of the book, the idea of such a memoir, but the execution could have been way better. (What I liked) Look at that cover: it's fabulous, isn't it? The mysterious girl, the silhouette of that guy, the creepy shade of blue and even that font made me immediately want to grab the book and read it. And the book started off great. I was completely engrossed for about the first fifty pages. I could completely relate to the funny, quirky narration along with the descriptions of the narrator's inexplicable, overwhelming fears and obsessions. I loved that strange recurring dream, the constant feeling of being haunted, the eerie way in which it is described. I also liked the parts in the present, when the writer is hunting down ghosts in the supposedly most haunted places in America. It's interesting and well written. The premise of the book was thoroughly fascinating. (What I didn't like) What I didn't quite appreciate was the haphazard execution of the idea. I didn't like the book, because I just found it boring. Let me elaborate: the book sounds too much like a rant, at times. I though it was a bit overdone. The book was an obviously hard and quite ineffective attempt to seem profound. It was dull in places and I felt like skipping ahead (which is something I rarely feel.) Having lost a lot of people myself, I could relate to the writer, but I still can't make out the point of the book. The worst thing, for me, was halfway through the book, I realized I was reading further only because I had to write this review. I would have loved the book, even if it had just been the writer's journey to all the haunted places all over America, trying to figure out if any of them were actually haunted. What could have been a much more charming read, seemed only okay to me. That being said, I can think of people who might actually like it. I would recommend the book to people who don't put much thought into reading, who are looking for a light, breezy read. It is also a good horror book for people who want to avoid the violence in horror fiction, but do like that eerie feeling it gives you. It's obvious that everyone reads books, their favourites most likely, more than once. But what I've always been curious about, is how people re-read. My favourite chapter from Harry Potter and the Prisoner of Azkaban is Moony, Wormtail, Padfoot, Prongs - I can quote the part from the Goblet of Fire where Voldemort returns (The thin man stepped out of the cauldron...) - and I can describe the Fountain of Magical Brethren in excruciating detail along with all the floors of St. Mungo's Hospital. You get my point now... I re-read parts that I liked the first time I read them. Even if I sit and try to read the entire book again, cover to cover, I end up skimming over to the good parts. Also, I have noticed that re-reading doesn't work, for me, with mysteries, thrillers and horror fiction. I have read a couple of Stephen King books more than once, but the effect of the books is almost entirely diluted during the second or third read. I have also noticed that after re-reading a book (especially a review copy, or any book I've reviewed) I tend to change my opinion of it. It may be because I'm older or have read more books of that genre or just think differently now. I wonder if it's okay to change the earlier review later, because I keep wanting to do that... Does this ever happen to you? And which books do you re-read? Are there any books that you've read so many times that you could quote entire pages? Do you re-read cover to cover or only certain parts? When it comes to re-reading, which do you prefer: eBooks or paperbacks? 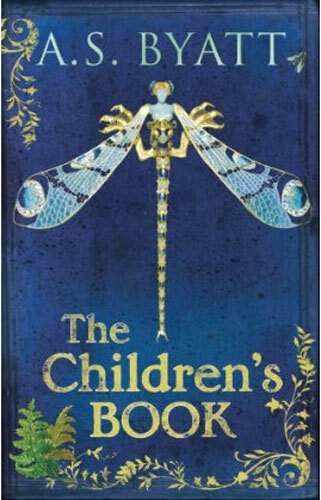 About the book: Published in 2009, The Children's Book is a novel by A. S. Byatt, which is loosely based on children's author E. Nesbit's life. It was shortlisted for the 2009 Booker Prize. Summary (partly from here. ): The book spans the Victorian era through the World War I years, and centers around a famous children’s book author and the passions, betrayals, and secrets that tear apart the people she loves. Olive Wellwood writes magical tales for children. On a visit to a museum, her son Tom finds a talented working-class boy, Philip, and they decide to take him home. The Wellwoods live in a house as fantastical as Olive's stories. Philip soon begins to realize, though, that their happy lives contain more darkness and secrets than they initially let on. The children grow up, not knowing what is about to come and their personal struggles are overshadowed by the golden era coming to an end. What I thought: After reading and falling in love with Elementals, a short story collection by A. S. Byatt, I immediately went and got this book. And I really wanted to love this book, ever since I saw the fabulous cover. I mean, look at that blue! But I felt like it was slightly overdone. It is long, and at times too complicated. It also has a very leisurely pace. The author takes her time describing every little detail, which I actually liked: my problem was that she has squeezed too much story, too many chunks of information into a couple of hundred pages at the end. In a way, it shows the suddenness of the children growing up, not remaining quite as innocent anymore or the effect of the abrupt end of an era - but it doesn't quite work that well. I do love A. S. Byatt, though, and she is a brilliant writer. She paints vivid pictures in your head, which you couldn't erase even if you tried (I don't see why you would want to, either.) The book has a bit of everything - history, politics, society and best of all, family. I have discovered recently that I love historical fiction, for that feeling it gives you, like you're actually there - this book felt wonderful that way, specially when familiar names like Grahame and Wilde popped up. The easy flow of words and the deep characterization make this book much more special than Elementals. I may not have loved this book as much as I wanted to (blame the sky-high expectations) but it is quite fabulous, nevertheless. So I would recommend this book, but be sure to save it for a some day when you have enough time. Top Ten Posts that give the best glimpse of ME! 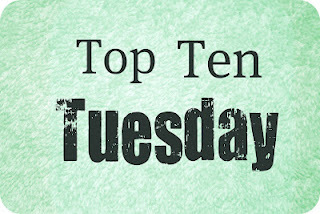 Top Ten Tuesday is a weekly bookish meme hosted at The Broke and the Bookish. 1. Nargles, Wrackspurts and Blibbering Humdingers: My first ever bookish post, back when Tabula Rasa wasn't quite a book blog. I think it shows my love for Harry Potter perfectly, right from the title. 2. Why I Like Horror Fiction: The title is pretty much self-explanatory. This is one of the posts on this blog that got a lot of unexpected (but welcome, of course) attention. 3. Mort: A Random Crazy Post: Another title that says it all. This is from back when I hadn't gotten the hang of formatting and most of my readers were related to me. I does tell a lot about "me" though, or how crazy I was. 5. Reading Tolstoy's Anna Karenina: This is one of my favourite reviews on the blog. 6. Gilmore Girls and Books: This post is about how Rory Gilmore inspired me to read. 7. Literary Pet Peeves: It is one of those posts (one that tells a lot about me) where I rant on (and on) about bookish habits that people have that irritate me. 8. 11.22.63 by Stephen King: A Long Overdue Book Review: This is another of my favourite reviews on this blog. 10. Re-reading Fahrenheit 451 by Ray Bradbury: A very recent post that I like, and possibly the longest post on the blog... possibly. Share your best posts with me and I'll be sure to check them out!